I had a very good day yesterday with Jamie. We went over tons of stuff!! I was exhausted by the time I got home last night. My head with was just full of quilting ideas. It was hard to relax because quilting was just consuming my brain last night. I wasn't sure what I should post about today. I decided I would share a UFO. It just needs the border and to be quilted. It's a super scrappy quilt, which I love scrappy quilts. It's made of flannels and brushed cottons. I got the top all together last year when I went to shipshewana on my quilt retreat. I used fat quarters. The pattern is a simple pattern called "Crows Fence" taken from the book Laps From Fats by Ellen Replogle. This was a fast and easy quilt to make! 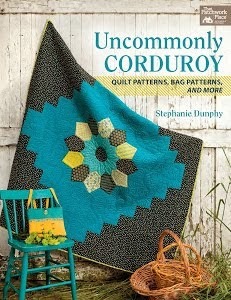 I highly recommend the book for anyone looking to makes some lap quilts out of FQs! Here is the quilt in the book. I picked the FQs up from Lolly's quilt shop sale store out of a boat! During the sale all the rolled FQs are $1.00!! This was a super inexpensive top to make. This quilt will be for my family to cuddle up,watch television or just enjoy. I have a little confession to make. I don't own one quilt anyone can lay under except for the quilts I've made the girls. Isn't that awful?? Every quilt larger than a wall hanging or table topper, I have given as a gift. I don't have any of the big quilts I've made. I have about 4 UFOs of quilt tops that just need borders. My goal this year is to finish them, quilt them and keep them all for my family and myself to enjoy!! I can't wait to cuddle up with this quilt!! Sarge and Scooter seem to be enjoying this quilt already! I hope everyone has a great weekend! I have to work, but in my spare time I plan on getting some quilting done on Annie! I love it, Linda! That's a wonderful book - terrific projects. Love the quilt! It doesn't even need a border if you don't want one....but maybe it wouldn't be big enough with out a border. Just a thought! 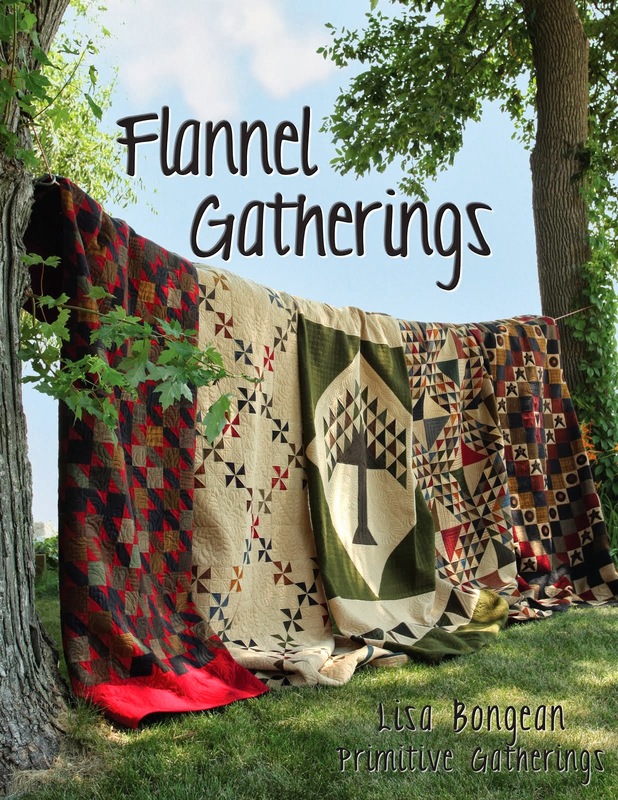 Flannel quilts are my favorite to cuddle up with on a cold winter's evening. Or summer when the air conditioning is too cool. I love the quilt Linda and I love flannel so this will be extra cuddly and yes it is definitely time you kept a quilt for you and your family ;-) Great job!! I love your quilt and I do have that book. I need to pull it out and make something else from it. Gorgeous scrappy quilt, Linda! You might have a hard time prying it away from Sarge and Scooter! We're headed toward the same goal of keeping some quilts for us this year!! Hope you share some of what you learned from Jamie! It sounds like you have a really good case of "Quilting Fever"!!! LOL! Your scrappy rails look wonderful! I love making family and baby quilts with flannels and brushed cottons! A lot of sewing folks think I'm nuts, because they find sewing with these types of fabrics difficult. OOOH, that really does look cozy. I look forward to seeing what you and Annie can do. Warm and cozy. I love anything flannel. Luv your quilt Linda....I have the book and lots of flannel and brushed cotton FQ's, I'm just going to dip into my stash and make one....looks super easy....don't you just love the boat at Lolly's....Have a wonderful weekend. I love scrappy quilts and yours is gorgeous... and will be great to snuggle under. Never made a flannel quilt - yours looks lovely. Grreat that you had such a good day with Jamie... Lovely to see all your photos. Great looking quilt. You'll have fun practicing your quilting on it! I am so happy you had a good day with Jamie. That's excellent. I didn't have any quilts in our house until a couple of years ago, either. I still don't have as many as I should. Someday I'll have one for our bed. Man that is a boat load of fat quarters. I bet that was fun going through it to find the perfect fabrics. I tend to give away a lot of my quilts for gifts too. But I make sure to make myself a few every year. I love big, cozy quilts. This one looks great.